The Real Right Returns is already a best seller in the Alternative Right. This book was written by Daniel Friberg who might be unknown to most Canadian readers, but who is famous in Scandinavia for having been a pioneer of the Swedish New Right, founding Motpol (a Swedish conservative think-tank), which promotes viewpoints similar to those defended on this very blog, and being a key player of Arktos Publishing. The success of this book is simple: it is hard hitting, optimistic and very simple to grasp. In only a few dozen pages, the author summarizes the political positions of the Swedish New Right, its tactics, and its concrete advice for the AltRight activists worldwide. Of course, being a European, the author addresses a few issues that might be less relevant for a Canadian reader, like the path Europe should take to become a geopolitical entity on its own. However, most of the ideas discussed in this essay, like the supremacy of politics over economics, global pluralism, and gender roles apply to us as well. Despite being influenced by the French New Right, namely the GRECE, Guillaume Faye and Alain de Benoist, Friberg differs on many key issues and his political stance could be summed up by two core beliefs: the rejection of liberalism and the advocacy of Europeans' ethnic interests (for him, ethnicity becomes the starting point of politics). 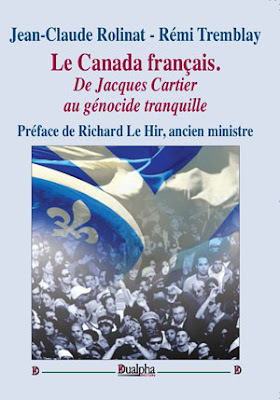 In this sense, he is closer to the Council of European Canadians than to the French New Right and his use of the latter term to define his own movement could lead to confusion. The most important influence he draws from the GRECE and more specifically Dominic Venner is the importance of metapolitics in the current struggle. Elections and political success are the results of successful metapolitical work and therefore emphasis should be put on the cultural/metapolitical struggle rather than on parliamentary politics. The elections and policy implementation will come after, as a reward as "conquering political power is only the last step in a long process, a process which begins with metapolitics." The Left's successful metapolitics, in which decades of persistent struggle gradually managed to give it control over the vital culture-forming institutions, can certainly serve as an instructive example of what we now need to implement in pursuit of our own goals. At the same time, it is also a warning signal. To the extent that the Leftist project sets out to create economic equality and end the alienation of the individual in modern society — in other words, what Marx had advocated — it has obviously failed miserably. Despite its firm grip on the public debate in Sweden (for example), in practice the Left achieves little more than to fill the role of global capitalism's court jester. Despite this, it continues to succeed in its other main goal, which has been to prevent Europe's native populations from defending themselves against a political project that undermines their right to political self-determination. Toward this end, sentimentality was substituted for Marxist historical analysis. However, the Left is now declining, its ideology being unable to adapt to reality. Friberg might be overoptimistic in his analyses, but he considers the politically correct witch hunt carried on by the media and "anti-racist" groups as a sign of this decay. On that subject, it must be noted that the author gives some very concrete and useful advice on how to handle political and media repression. [I]t is also a clear sign of desperation among the Leftist cultural elites who have got used to holding a monopoly on shaping public opinion in this country in recent decades; elites which are now rapidly losing this monopoly, largely because of the Internet. The 'mainstream media' is widely acknowledged to be dying and becoming less and less relevant with each passing day, while alternative media channels are gaining ground at a breakneck speed. Upwards of two million Swedes now use alternative media and Websites, many of which are often critical of immigration, as their primary sources of news. This is natural, since such media, whatever its other shortcomings, better reflects the reality that many people actually experience than the established media does. This change of mentality which can be observed by the growing support for Rightist politicians can be explained by the failure of the Left to address reality. Instead of discussing real issues, they cling to utopian abstractions and utter nonsense. 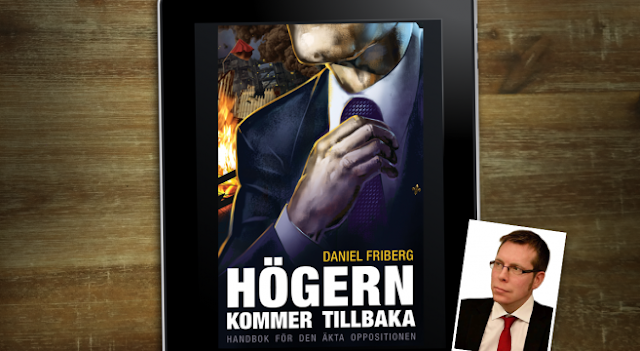 To illustrate this rise of the Right, Friberg uses the Swedish scene as an example. Obviously the rise of the Swedish Democrats who now poll 25% is a talking example, but the metapolitical Right has also blossomed in the past decade. Motpol started as a blog much like this one ten years ago and has developed into a website and an organization hosting major lectures with renowned speakers from across the globe. Also, if Motpol was the first dissident outlet, it is now one alternative media among many others. The same is true, to a lesser extent, in Canada where an Alternative Right is currently emerging. We can expect similar developments here with one major difference though: there is currently no political party that could capitalize upon the metapolitical work carried on by the alternative media. In his conclusion, Friberg reminds us that inaction is not an option and that Rightists must actively engage in this struggle. Our civilizations depend on us.